WhatsApp is taking things to different level all-together. We already reported that WhatsApp is planning to introduce dark mode on WhatsApp Messenger. Before rolling that out to the users, the Facebook-owned messaging platform seems to be testing the fingerprint authentication feature for Android beta version, as per the market reports. The messaging platform updated its Android beta app to the version - 2.19.83 that hinted traces of WhatsApp's new authentication feature. WhatsApp Dark Mode Feature Testing Underway For Beta Android Users; Likely To Be Rolled Out Soon. The company reportedly has been working on this security feature for quite some time now. A new report reveals that the feature on WhatsApp has made a lot of progess as far as the Authentication is concerned. Moreover, WABetaInfo - a beta tracker revealed some screenshots that we shows how the new security feature can be enabled as well as the interface would look like. However, this feature is disabled as of now (by default) and it wont be working for beta Android users. It is still not clear when the company will be introducing this feature for the regular WhatsApp users on Android. New WhatsApp Features in 2019: Top Features Coming To Platform This Year. 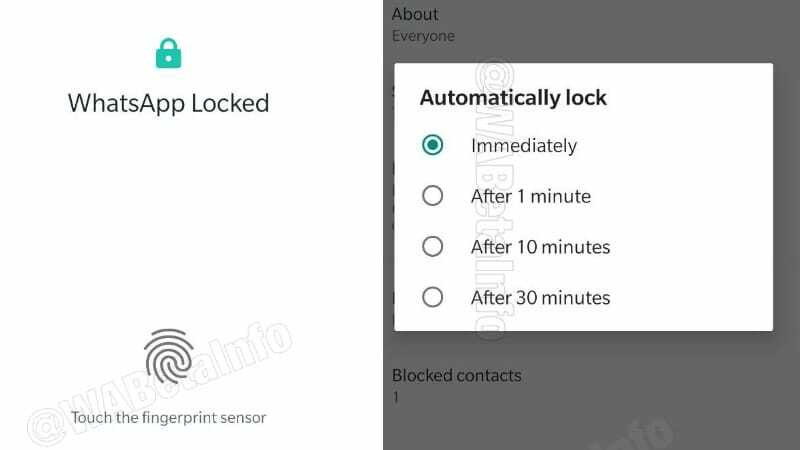 With this new authentication feature, the WhatsApp users will be able to lock their accounts and unlocking would be done by using the fingerprint sensor. 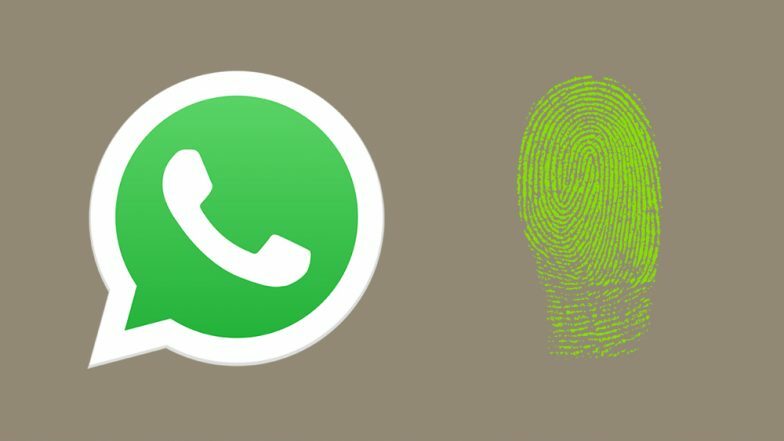 This safety-oriented feature can be enabled from WhatsApp Settings >> Account >> Privacy >> User Fingerprint to Unlock. When the feature is enabled, the users will be required to register their fingerprint. The feature also offers locking options after leaving the applications such as after 1 minute or after 10 minutes or after 30 minutes.